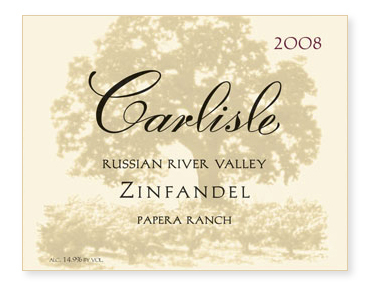 Like Carlisle Vineyard, Papera Ranch (planted in 1934) suffered from April’s frost, yielding only one ton to the acre as opposed to the usual two. Somewhat paradoxically, although we had half the fruit, double the farming was required to ensure a crop consistent in development. In the end, the extra work paid-off, resulting in a lip-smacking, delicious Zinfandel that for our palates, eclipses our much-heralded 2007 rendition. Indigenous fermentation, 19 days on the skins, and all French oak, 21% new. Seven percent interplanted Carignane was included for structure and acidity. Bottled unfined and unfiltered.